Bologna sandwiches are our favourite classic sandwich. 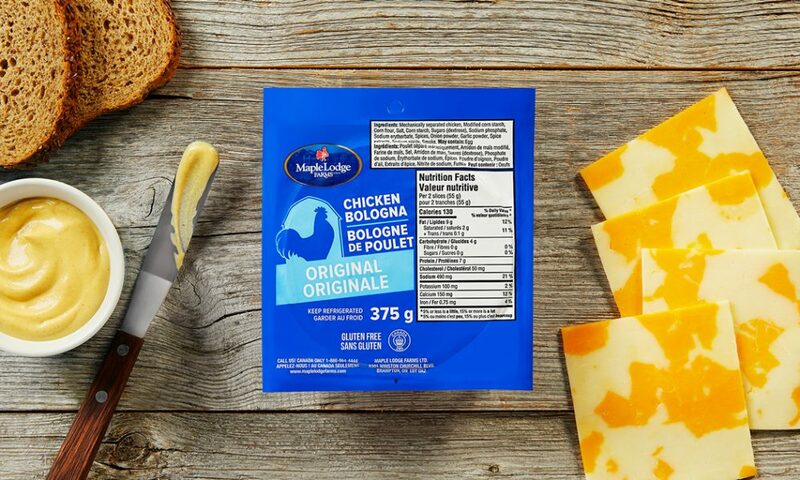 Bread, cheese, our tasty Original Chicken Bologna, and just a little mustard—it tastes like home. Mechanically separated chicken, modified corn starch, corn flour, salt, corn starch, sugars (dextrose), sodium phosphate, sodium erythorbate, spices, onion powder, garlic powder, spice extracts, sodium nitrite, smoke. May contain egg.